Champagne Palm is a delicious fruit which rich in different types of vitamins. The Champagne Palm Tree looks a bit like the coconut tree but much shorter than it. 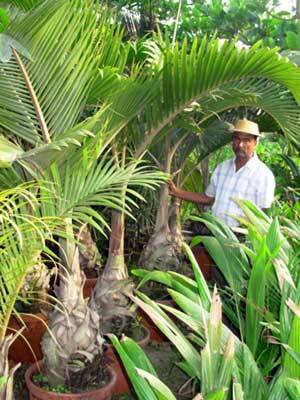 We offer premium quality Champagne Palm Tree that is cultivated from the premium quality palm seeds. The premature tree is cultured in our own nursery at good condition to ensure the long life and also better production of the fruits. Consequently, we are considered among the renowned Lush Champagne Palm Manufacturers and Suppliers in India.